Let Miami Somers show you the benefits of using our awnings. 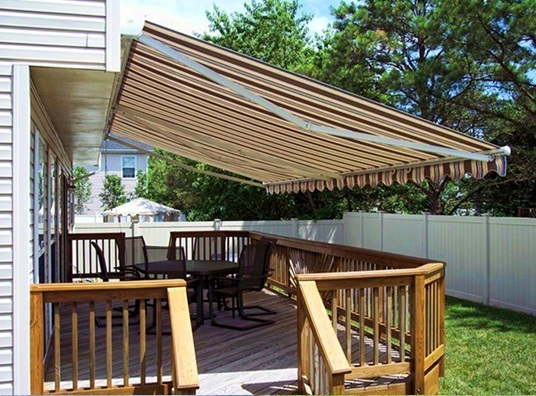 Our retractable awnings in Sea Isle City are designed to protect your patio, deck, windows, and other aspects of your home, from harsh weather conditions. When installed over your window, our product will block UV and IR rays that can damage drapes and carpets. When used to cover your doorway, the awning will protect the area from wind, rain, and other damaging elements. Lastly, they can keep your walkway dry, ensuring a safe path regardless of the weather. Installing our awning will help keep your home in good condition despite harsh conditions. Our awnings in Ocean City, NJ, can help make your home more livable. We have aluminum awnings that can absorb heat coming from the sun, helping keep your interior cool. This will lessen your reliance on your HVAC units, leading to more energy savings. Our awnings can serve as a unique feature of your home, adding to its curb appeal. Customize it by choosing from an array of shapes, dimension, and colors, to match your home’s style. You can also consult our design team to help you choose the best combination that can complement your home’s character. As your preferred awning contractor in Cape May, NJ, we offer awnings that can help you do your part in preserving the planet. Due to their energy efficiency, they can have a positive long-term effect to the environment. They directly reduce the impact of global warming from greenhouse emissions, making them ideal cooling options. Let Miami Somers help protect your home and increase its comfort levels through our awnings. Call us today at (606) 528-4030 for more information.